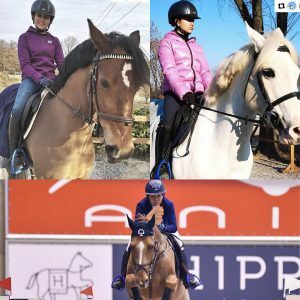 Zoe Lia is a thirteen year old showjumper (14 in summer 2019), and is one of Italy’s highest ranking pony riders. Lia’s top ponies are both mares; the bay Carrie CM is a Swedish 9 y.o (left). “She is very careful and very easy to ride; still young and learning, we believe that by the end of this season, she will be also able to jump 1.30,” Zoe adds. Despite her amazing success, nobody in Zoe’s family was into horses at all. “At the age of three years old, a friend put that little baby into a saddle, on a quarter horse, for about five minutes. As Zoe put her feet on the ground again, she was looking forwards to do it again. The next weekend was horses, and the next weekend horses, and again… “, Dad Andrea remembers fondly. Aged four years old, Zoe started her pony mounted games career and since then, her family says it’s hard to remember more than a couple of days in her entire life (and in the life of her family) that hasn’t involved horses! 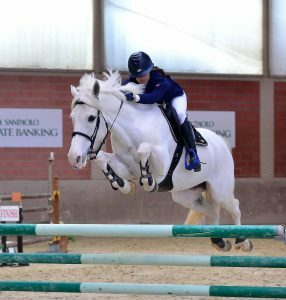 At just seven years old, Zoe was Italian gymkhana champion, and the same year, she started showjumping. It took two very hard years for her to understand how to ride her feisty128cm pony Soxs Pocket Rocket. 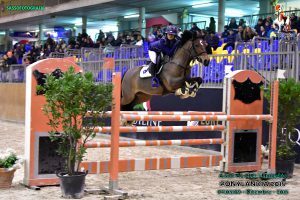 But eventually they became an unbeatable pair; when Zoe was 9 years old, they won Coppa Italia Pony (the Pony Italy Cup), and Circuito Pony (the Pony Circuit) in the 1m category. But at 128cm high, Soxs Pocket Rocket became too small to jump higher, and it took another very difficult year for Zoe to get back in the ribbons. She worked hard, with slightly less impressive results, until 2017. But since then, in those last two years, Zoe’s hard work has paid off. 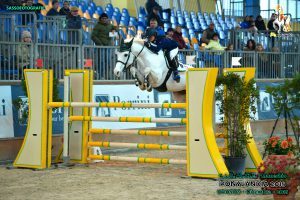 She gained first place in the Italian pony ranking list at 110cm, as well as in the Italian pony ranking list at 115cm, and was second in the pony rankings at 120cm. Zoe was delighted to get on the national podium twice (in 2017 and 2018) in Piazza di Siena, Rome. 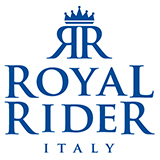 In 2018, she won the Pony Master show in Arezzo; she won twice in the Italian CSIOP, was second at the Italian Pony Championship in the 125cm category, and again second at the Italian Pony Championship for under 14s. She’s enjoyed so many other successes; 35 times on the podium in 2017, and 57 times in 2018! 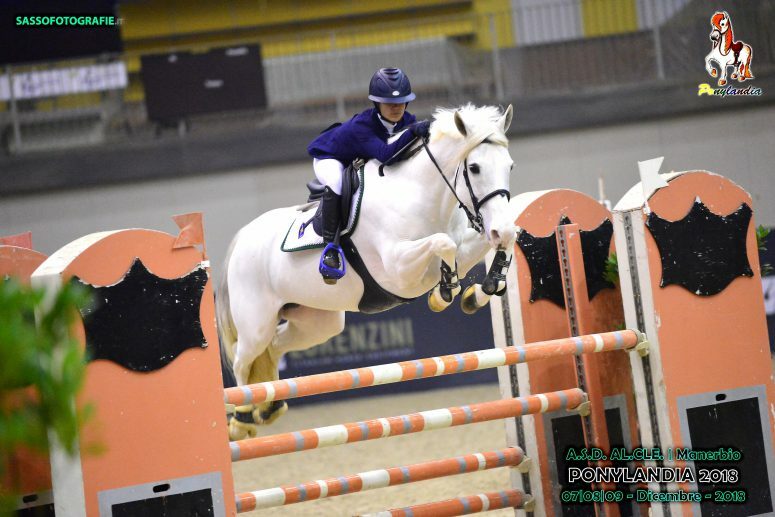 At the beginning of 2019, Zoe was chosen from the Italian Federation to take part in the Pony Team Italia Stages. At only 13 years old, she looks forward to her first international season, as ever, using her striking Royal Rider Sport Blue stirrups. “Nothing is better than starting a new exciting season with the #royalriderstirrups in RR Sport Blue!” she says. “They’re so lightweight, yet very durable and strong. I love how striking and sporty the blue versions are. PrevChoosing the perfect stirrup for your horse riding discipline – whether pleasure riding, eventing, showjumping, hacking or dressage!